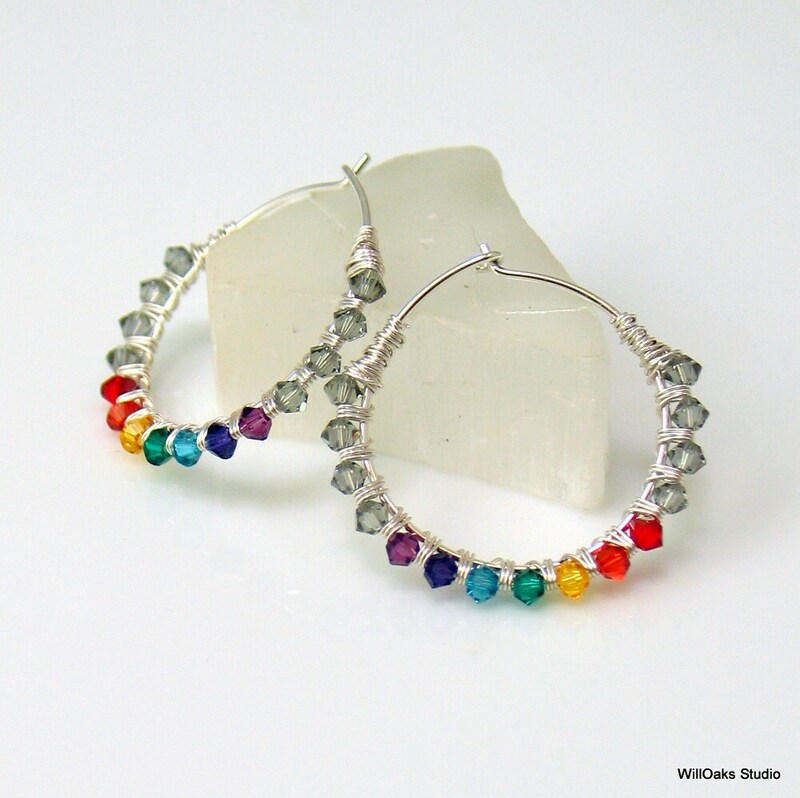 A rainbow of colored crystals bound to sterling silver hoop earrings. 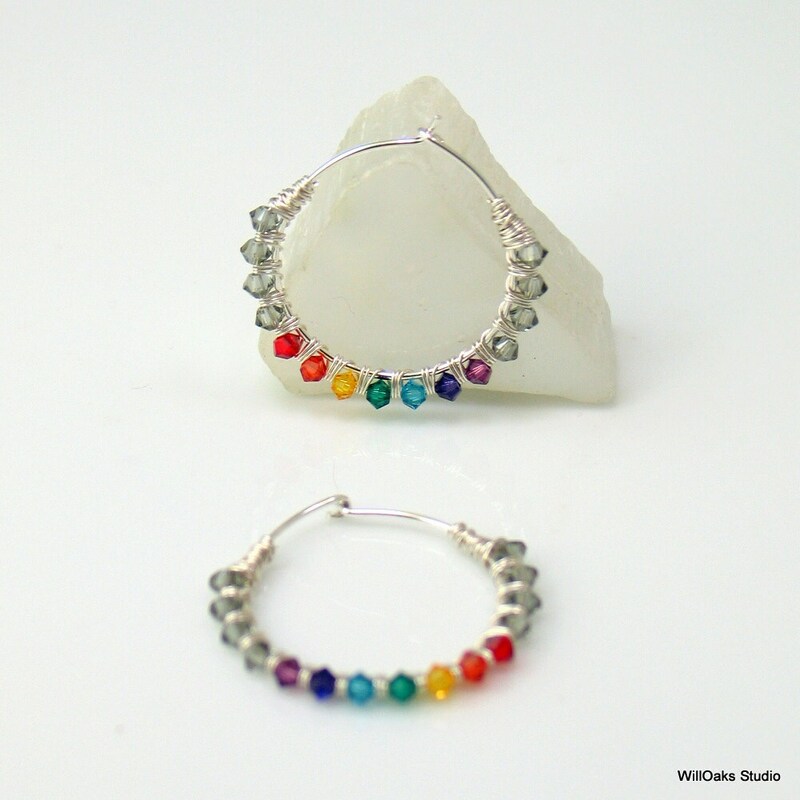 Handmade sterling silver hoop earrings are wrapped with fine sterling silver that captures a row of 3 mm Swarovski bicone crystals in the 7 colors of the Chakra-a yoga concept of the body. Or maybe it looks like a rainbow or a prism? 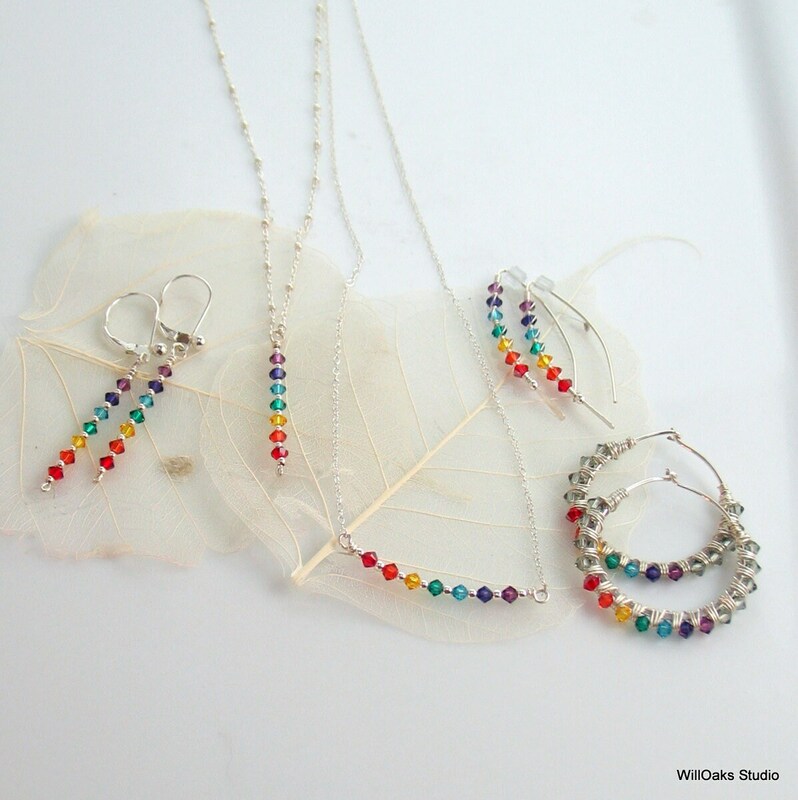 The colorful row is flanked with gray diamond crystals to bracket the rainbow spectrum. 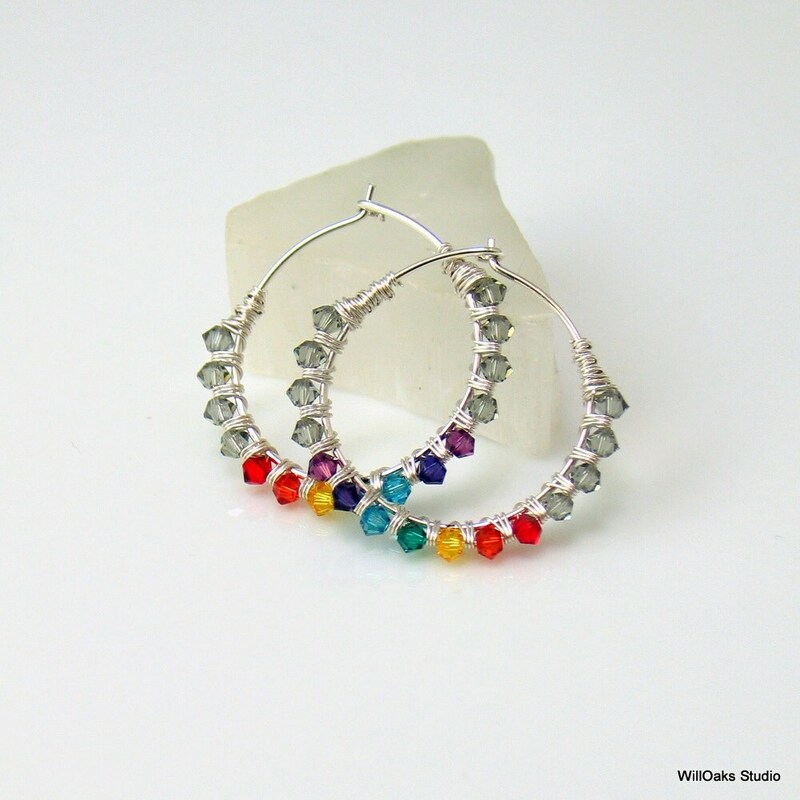 Hand formed, tumbled for strength, of 20 gauge sterling wire for a pair of sturdy lightweight hoop earrings. These sterling hoops are just under 1" (24 mm) inner diameter and a little less than 1 1/4" (29 mm) maximum outer diameter. They are made to order. Photos are made with a macro lens so may appear larger than in life. Please view photo with hand for scale and check measurements noted above. WillOaks Studio earrings are packaged in signature boxes, ready to gift or lovely to keep. 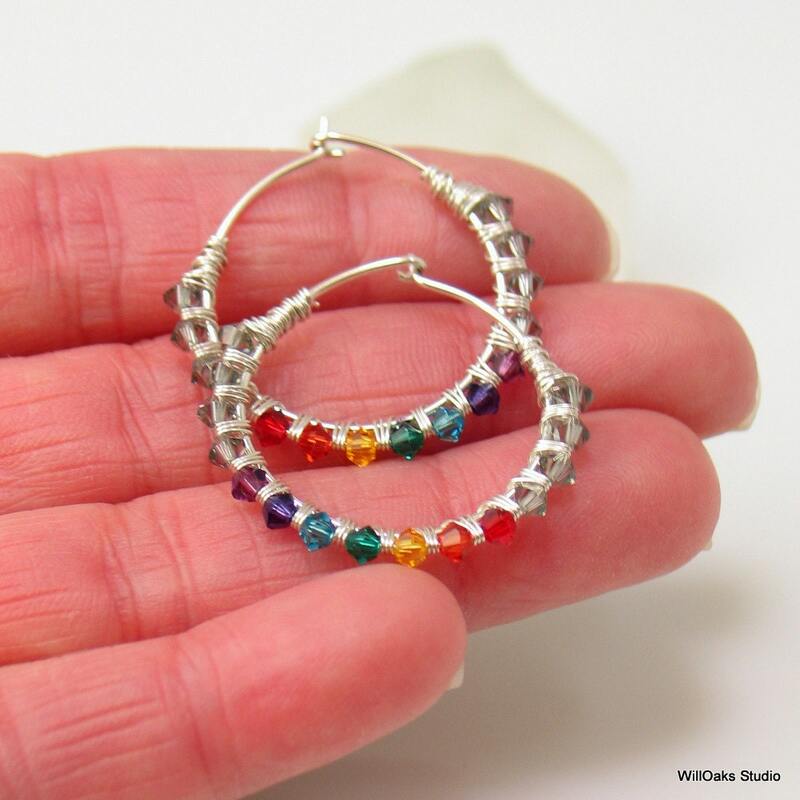 I love to wrap hoops with gems and crystals, as you can see in many earring styles in my studio. The earrings were wonderful! Thank you very much indeed, I was thrilled to receive them! Unique and gorgeous! A+ seller, too!